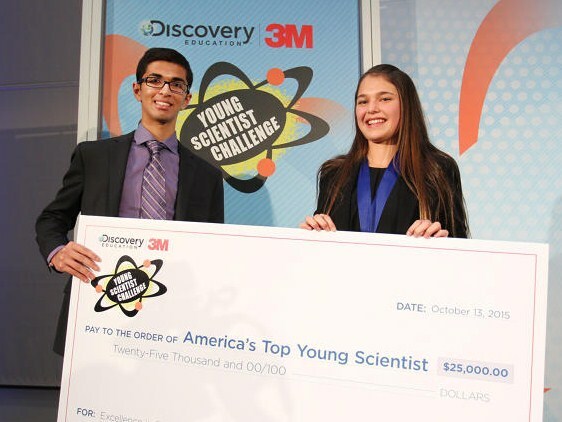 Fifteen-year-old Hannah Herbst from Boca Raton, Florida, is the winner of the 2015 Discovery Education 3M Young Scientist Challenge. Herbst created an energy probe prototype that seeks to offer a stable power source to developing countries by using untapped energy from ocean currents. ~ Press Release, Discovery Education and 3M announce 2015 Science Competition Winner, Young Scientist Challenge, October 26, 2015. Youth and innovation. Maybe there is hope for us! Agree with you, JoAnn. I also thought that if kids can come up with cheap ways of providing alternative energy, what’s holding us back? I think we all know the answer: Big Oil. Big Oil should be embarrassed, it’s so obvious. Great idea for a small portable. The theoretical scale up that can simultaneously the power of 3 car batteries sounds good. Thanks for sharing, Rosaliene! You’re welcome, Cicorm. The involvement of young scientists in our transition to clean, sustainable energy is a hopeful move forward, as JoAnn noted.